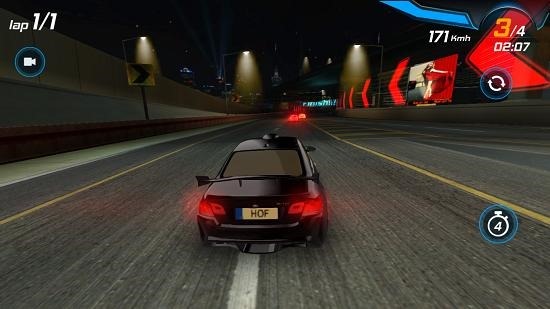 Car Racing 3D High On Fuel is a car racing game for Windows 8 and 8.1 devices with excellent graphics. When you run the game on your device you will be presented with an interface where you’ll be asked to enter your name, soon afterwards you will be asked to choose your control type. 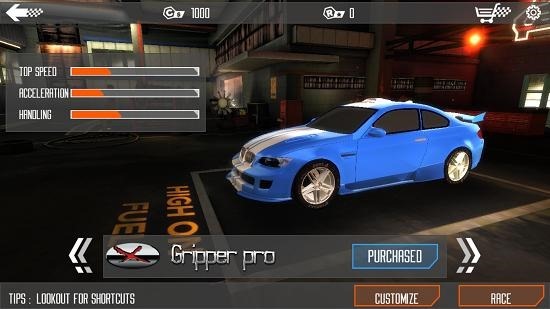 Then you can go on and choose your car, tune its performance, choose the stage and finally choose the level you wish to play. When all that has been set up, you’re good to go. Car Racing 3D High On Fuel is available for free from the Windows App Store. When you run the game, you will see the following prompt asking you to enter your name. 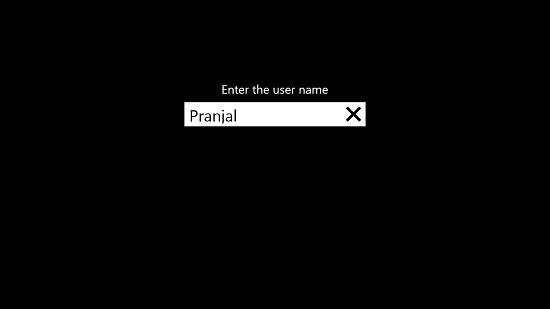 Enter your name, click the Enter button and you will be taken to the main menu. Choose the mode that you wish to play. 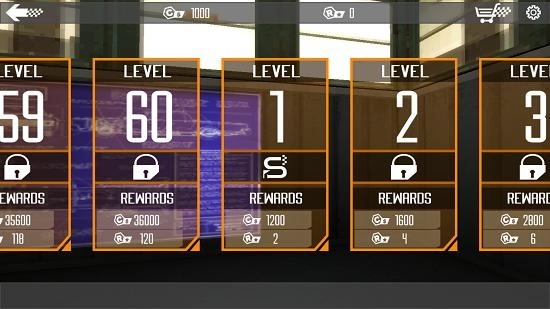 Now, you will be brought to the level selection screen. Once chosen you will be prompted to select your car. You can also go ahead and fine tune its performance via the customize button. If you wish to race with the performance that you have, just click on the Race button at the bottom right. When you press that you will be brought into the loading screen with helpful tips at the top. Now, your gameplay should start. You can see the gameplay screen below. You can see your rank, speed nitrous meter at the top right of the screen. You can see the active lap at the top left. You can click on the camera button to switch the camera angle view, and you can activate the slow –motion mode by clicking on timer at the bottom right. Once the race ends, you will be able to see your ranking. 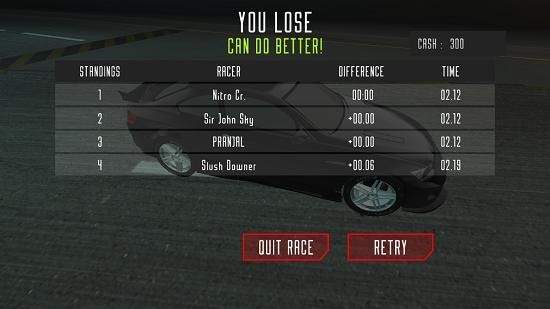 You can choose to either restart or quit the race from the above screen. This wraps the main features of this game. 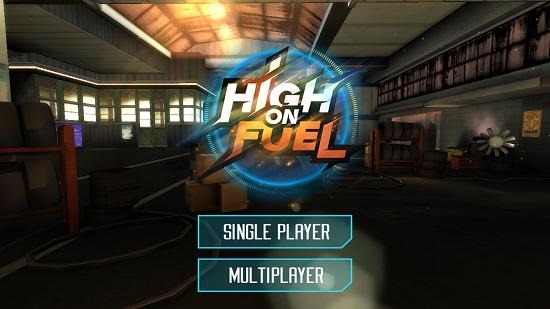 Car Racing 3D High On Fuel is a great app which you can download for free from the link below. 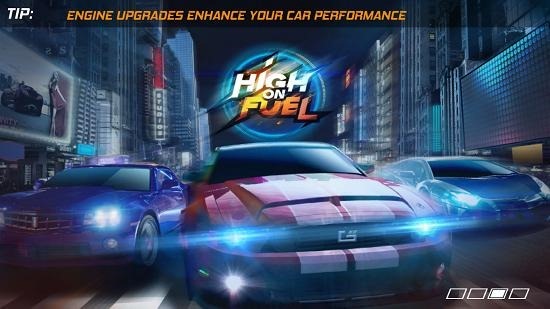 Get Car Racing 3D High On Fuel.